Why / How do chlorine tablets raise CYA? I've read numerous times to be careful about using chlorine tablets b/c they raise the CYA levels. Can someone explain to me how or why this happens? Why isn't using chlorine tablets the same as adding liquid chlorine (bleach)? I thought the tablets were simply more concentrated. Nope. Chlorine by itself is a gas. When it's in tablets, it's either bound to cyanuric acid or calcium. The chlorine evaporates, the other compounds stay behind. Liquid bleach leaves salt behind. Trichlor tablets are also acidic, so using them is really a triple-threat, equivalent to bleach + CYA + acid. There might be times when that's exactly what you want, but usually it isn't. So why is it that every 'pool person' I talk to here in South Florida says you need to float 1-2 tabs per week in addtion to routine liquid chlorine added. They say it keeps the levels more stable. Yet here, tablets seem to be less desirable :? Most pool stores don't understand (or probably want to) the chlorine/CYA relationship, and say you should keep CL between 1-3ppm using tabs, and shock weekly. The higher your CYA, the higher you need to keep your CL levels (constantly!). Like Paul and Richard said, other forms of CL besides bleach add other undesirable things to your water. Have you read Pool School yet? The basics are explained very well there, and will help you to understand the methods used here. In my pool, one tab is worth about 2ppm CYA. Using them as the sole source of chlorine would tend to cause trouble (shudders briefly at the memory), especially in a pool that technically doesn't "close" for the winter. Using one tab a week as a summer supplement, in low latitudes where higher CYA levels (like maybe 60) can be helpful... if I were a pool service dude, I could see it. As an owner, where it's no trouble to add bleach more often than a service would, I can't see it. All my friends here in Az use the Trichlor pucks in floaters or have SWG'ers. A couple pucks, a little muriatic acid and shock is all they do to their pools. I'm using that method right now and my pool chemistry seems really stable. I've only had it for a few weeks though so I'm still learning. I will try the BBB at some point but right now things seem to be working out really good the way they are. I do see how the byproducts of the pucks can create problems though. The chlorine is a consumable so as it gets used up each day it turns into chloride salt, but the CYA remains and builds up over time unless there is very significant water dilution. Note that the CYA or calcium in the above products isn't "added" separately, but is bound to chlorine in its own chemical compound which is why the ratios of FC to CYA or CH are so precise and unchanging. This is not mixing separate ingredients -- it's creating new compounds that when dissolved in water separate into individual components. It's like taking sodium and chloride to make sodium chloride (i.e. salt) where the ratio of sodium to chloride is fixed even though dissolving into water they separate into sodium and chloride ions. This means that even with a low 1 ppm FC per day chlorine usage, Trichlor will increase CYA by over 100 ppm in 6 months if there were no water dilution. I experienced this in my own pool 7 years ago when my CYA rose from 30 ppm to over 150 ppm using Trichlor pucks in a floating feeder over 11 months of use over 1-1/2 swim seasons. We have virtually no summer rains and I used a pool pump on the mostly opaque electric pool cover over the winter pumping winter rains to the sewer. I also have an oversized cartridge filter so no backwashing and only needing cleaning once a year. So I had very little water dilution. After the 1-1/2 swim seasons, I got unusually high chlorine demand and my water started to turn dull and then cloudy -- it was an impending algae bloom in spite of my using an algaecide, but only every other week. After getting advice from my pool store that didn't make any sense, I decided to learn pool water chemistry and also ran into The PoolForum which is a predecessor to this site. The higher CYA levels would require higher Chlorine levels in order to be effective. Therefore, you could have high chlorine levels and still experience algae blooms b/c the high CYA is rendering the chlorine less effective? Also, how does one lower CYA levels? Is this done only through replacing water? I live in South Florida and we get LOTS of rain here. Does that help? Rain helps but only in proportion to water already in your pool. If your pool averages 50" deep and your CYA is 100ppm, an inch of rain will reduce your CYA down to (roughly) 98ppm. As you can see, unless you have a lot of rain frequently, it is difficult to get any significant CYA reduction other than to drain and refill. Anyone who understands pool chemistry (such as a pool supply store employee) that encourages you to 'float' a couple of tablets/week in your pool does so knowing that this will require you to simply add more liquid chlorine. So in other words, the chlorine tablets are a pool industry trick to get you to spend more money on liquid chlorine??? The sad thing is that almost every pool owner I know (chlorine, not SWG) has been brainwashed all their lives to think that floating tablets is essential. I even hear people at the pool supply store talking about it like drones. Now I'm a little annoyed since I just recently installed a tablet feeder (that I was very proud of my work). I realize that I might have not done so had I spent more time here at TFP prior to do it, but it is what it is. 1. Many Pool Store employees DO NOT understand pool water chemistry. Not all, but many. 2. I do not perceive it as a trick. Rather, a way to make it convenient for you to add chlorine to your pool. That the pucks also add CYA is a necessary part of the puck manufacturing process. That said, it is in the pool chemical industry's best interest to make products that people buy, whether or not it has some unwanted side effects and it is in their best interests not to promote those side effects. What I'm saying is this.......I would not like to see us all glom on and curse the pool industry but rather educate ourselves so we can make the choices we need to make to take control of our pools rather than (convienently) allowing the pool industry to control them for us. This is ALL great information. I am switching from pucks to Bleach and or Cal Hypo this year. "Testing it out" not sure it will work for me. I am keeping my feeder and will use pucks when away. My CH is only at 200 so Cal Hypo would work. As for bleach being Cheaper i do not necessarily agree with that! I believe Cal Hypo and 6% bleach will work out about the same..
which might make price-comparison easier. Plus the cal-hypo increases CH so longterm it would require some water replacement to compensate. I haven't abandoned chlorine tablets or even dichlor shock for that matter. I love the convenience of not having to mess with bleach bottles etc. I put 1" tablets in the automatic chlorinator and add shock with CYA when the time arises. I know my theories aren't scientifically sound but this is what i have found. 1. Draining 75% of my water did NOTHING to get my CYA level below 100. It just made my water less clear for awhile. 2. Adding dichlor shock seems to make my pool sparkle even more, even when my CC level is below .5ppm. 3. The liquid chlorine as a shock did not make my pool sparkle as much even though i added the same amounts according to the pool calculator. For me I pretty much ignore the CYA level. I understand that there are side effects to high CYA but i prefer a crystal clear pool and for me this is the only way i can get it. Additionally my CYA test results from the TF100 are always WAY higher than they are at the pool store. I have never tested over 50 at the pool store and never below 100 with the TF100 even after draining the majority of the water. I've decided to leave the CYA test vial in the kit and just swim and enjoy the clear pool. I check PH, TA, CC, TC, FC and after that drink beer and swim. To each their own. I'm glad it's working out for you but please do not encourage others to try to manage an overstabilized pool. Long term, it simply doesn't work for the vast majority of us. You noted in this post that you get frequent rains and also describe that in this post. With your 9000 gallon pool, and with some cleaning of your DE filter, that can give you water dilution to keep your CYA somewhat in check though it is still probably somewhat high. Note that evaporation and refill does not dilute the water so does not reduce the CYA because the CYA does not evaporate. More important, however, is to understand that a high CYA with a low FC does not always mean that algae will grow because algae requires more than just a low active chlorine level to be able to grow. 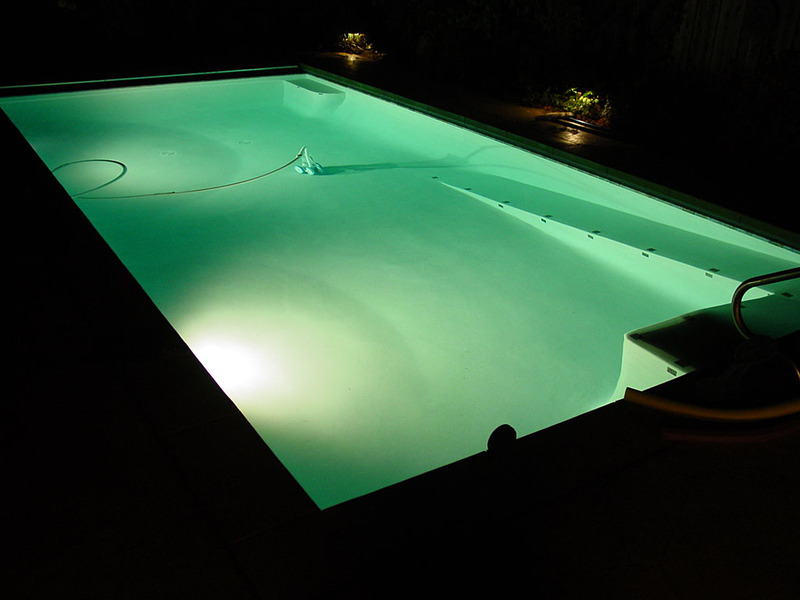 It requires adequate nutrients including phosphates and nitrates and these may be low in some pools. Also, some Trichlor pucks/tabs contain copper which will prevent algae growth but with a risk of copper staining. There is also not spontaneous generation so the algae has to get into the pool in the first place, though usually there are algal spores in the air in most places. Also, in your case, most of your reports of FC have been pretty high at 5+ ppm so that also helps even with CYA approaching 100 ppm. I've used Dichlor to raise the CYA level when starting a swim season and normally use 12.5% chlorinating liquid and did not notice any difference in water clarity except my wife said that after the Dichlor the water tasted a little metallic. There weren't any metals in the Dichlor, but perhaps some contaminant led to the taste experience. 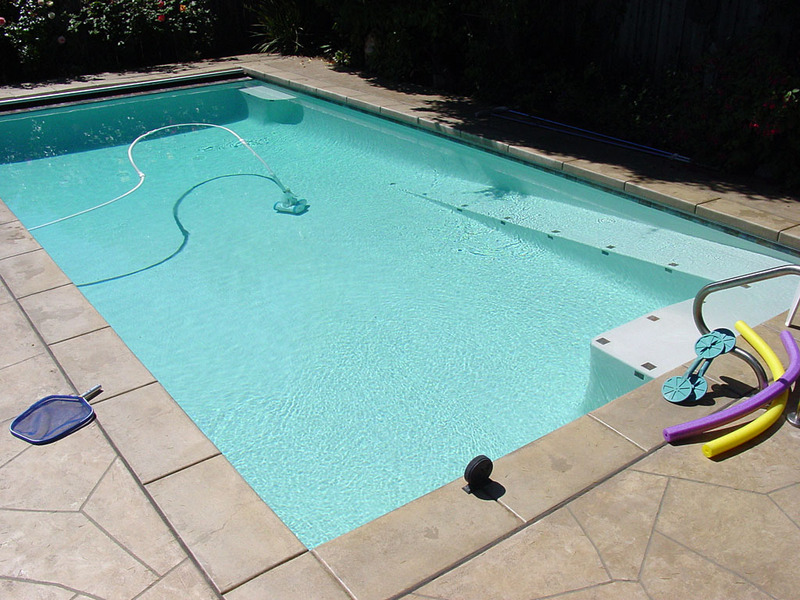 With chlorinating liquid, my pool (shown here and here) is crystal clear. However, if one has their water fairly saturated with calcium carbonate, then chlorinating liquid or bleach will raise the pH which could look more cloudy than with Dichlor that does not raise the pH upon addition -- also, if you have your TA too high, then the pH will rise over time more quickly with chlorinating liquid or bleach than with Dichlor since the use of Dichlor is net acidic. When I first started with my pool 7 years ago, I used Trichlor pucks/tabs in a floating feeder. The CYA started at 30 ppm, but after just 1-1/2 seasons of use (about 11 months not counting winter with little chlorine usage) the CYA was around 150 ppm. We get virtually no summer rains and I have a mostly opaque electric safety cover and used a pool cover pump to remove rain water to the sewer over the winter. I also have an oversized cartridge filter only cleaned once a year so I have very little water dilution. When the CYA rose, the chlorine demand went up and the water started to get dull. Note that I have 400 ppb phosphates in my fill water. So while not every pool with high CYA will develop problems, the statistical odds are higher. Therefore, the TFP advice is to reduce the odds of getting algae to a minimum at a fairly low cost and reasonable maintenance. It is more about understanding the alternatives and then making informed purchase and operational decisions. If you are lucky enough to not have problems, then great, but that doesn't mean this will apply to everyone. The vast majority of cloudy and algae problems in pools reported on this and other pool forums is due to rising CYA from stabilized chlorine without proportionately raising FC or otherwise compensating. There are also problem reports in SWG pools due to a low FC (usually 1-2 ppm, sometimes 3 ppm) relative to CYA (usually at 80 ppm). Looks like i will be a 50/50 guy using pucks when not available to add on a daily basis. Besides CH does Cal Hypo have any other side affects? question on the pool calc. When looking for the perfect # where in the range should i target, middle? I had a need to use Cal Hypo for a month or so a couple of years ago. I chose to introduce it into the pool by pouring it slowly into the skimmer. After a couple of weeks, the high concentration of calcium precipitated out and covered (partially) the clear lid on my pump strainer basket. It was easily cleaned off with muriatic acid but it was a nuisance and made me wonder if it was depositing anywhere else. I could never find any other indication of it but it made me aware. I would still use it if I needed to increase calcium but, for now, I'm back to LC, who's only side effect is tired muscles. Ok to use chlorine tablets on day 4?